Clay Face Brick is testimony to this colourful, earthy palette of nature, offering the widest variety of colours, shades, shapes and textures which enhance and harmonise with any environment. If you’re not sure whether to plaster your garden walls or opt for clay brick, you might want to consider these 5 facts about face bricks before making your decision. Because of the long life cycle Clay face bricks offer and the fact that the value of a building is achieved through long-term durability and low maintenance, Clay face brick is the most efficient and cost effective choice in the long term. Unlike plastered walls, Clay facebrick lasts much longer. It’s well known that structures built with clay brick remain standing even after centuries of being exposed to harsh outdoor elements. Because Clay facebricks are low maintenance, they always look good. So you won’t have to break the bank plastering and painting when you decide to sell. Buyers will also appreciate that they won’t have to either! 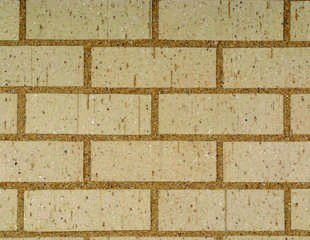 Facebrick does not release volatile organic compounds, which are potentially harmful to the environment. Bricks are from the earth, they are inert and when you build with face brick you’re paying mother nature the ultimate compliment. There is a vast amount of choice available when deciding to build your garden wall with face brick. The textures and colours vary enormously so you’re bound to find something to suit your taste. Clay facebricks have four different textures: Rockface, an irregular rock-like finish on the stretcher face which is achieved by chiselling the brick surface, Rustic, a crusty finish resembling the bark of a pine or oak tree which accentuates surface shadows, Satin, a smooth, non-grainy face finish and finally the Travertine finish, a smooth finish with a natural clay grain appearance. Copyright © 2017 Abacus Bricks. Design & Hosted by In Touch With The World.